4 Ingredients Healthy Diet is a lifestyle, cooking must-have for the kitchen. Health and happiness starts within, from the foods we choose to fuel our body. 4 Ingredients Healthy Diet has been created as the 'go-to' cookbook for EASY, EVERYDAY achievable meals using ingredients that the human body is naturally designed to digest. Understanding the nutritional value of WHAT we eat, complementing with moderate exercise and lots of water, is the key to maintaining an overall wellness and the basis of 4 Ingredients Healthy Diet. Knowing the hugely important role food plays in our longevity, Kim McCosker has spent years following this easy diet plan, which is simply a cleaner way of eating. Primarily using whole foods to form recipes that are nutritious, delicious and easy to create, 4 Ingredients Healthy Diet also features a four-week meal plan to follow. This is particularly useful for busy people who like structure, and those needing a strict plan to assist with controlling calories and their daily eating habits. 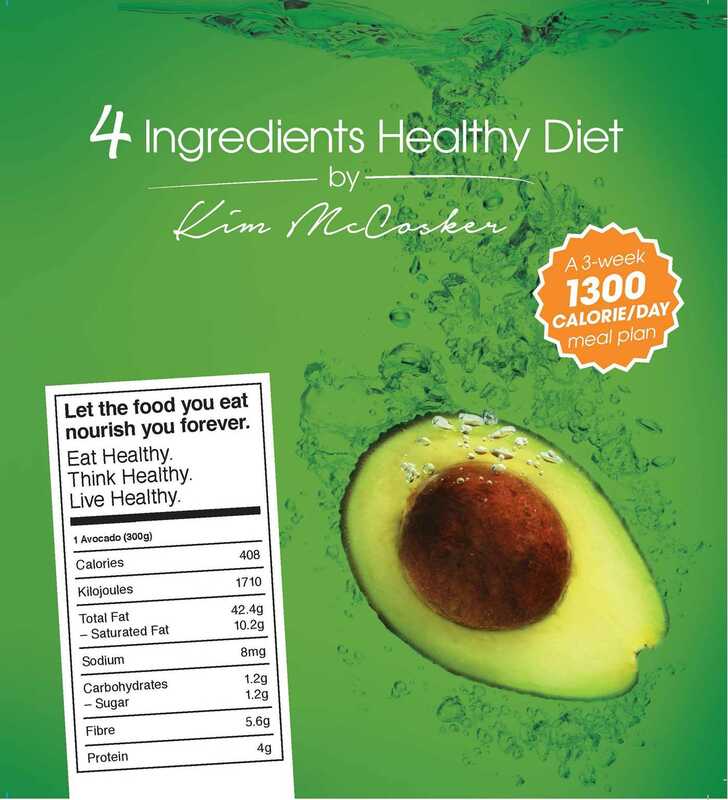 4 Ingredients Healthy Diet shares over eighty recipes, plus pages of simple snacks and healthy foods. Each recipe provides a breakdown of nutritional data per serve, including calories, fats, sodium, carbohydrates, sugar, fibre and protein. This recipe book simply gives everyone a sensible guide to eating GOOD, HEALTHY, NOURISHING food. It evaluates the importance of eating fresh, whole foods that are essential to the 4 Ingredients Healthy Diet plan in maintaining a healthy body and mind for the whole family, for a long healthy life. Easy, delicious meals and food ideas, using 4 ingredients or less.